Part of the Massif Centrale mountain range that thrusts upwards in the centre of France (notably part of rural Auvergne), the Cévennes ramble across southern France, including through Herault, Gard, Ardèche and Lozère. Lush forests and sweeping valleys hide glittering turquoise lakes and sunburnt meadows. Alive with diverse flora and fauna, the Cevennes Mountains cover some of France’s remotest communities – and have the best sunny weather! Though not always easy to access (especially the mountains in the region of Lozère, which rejects the notion of commercial tourism), the Cévennes Mountains and the Cévennes National Park are rich in natural beauty. The term Cévennes comes from an old Celtic (Gaul) name, Cebenna, later Latinised by Caesar upon conquering the region as Cevenna – and more than 2,000 years later, the name still sticks. Even today, the Cévennes are rife with protestants who identify as descendants of the ancient Huguenots who escaped to the rough mountain terrain which provided shelter and protection to refugees of centuries past. Today, the beautiful mountains are perfect for cycling, hiking, and other outdoor adventure activities. Pro tip: On the southern side, the closest true cities are Nîmes and Montpellier. To visit the Cévennes rural beauty, you should rent a car. St Guilheim-le-Desert (see below) is just one of the Cévennes’ lovely villages to stay in. 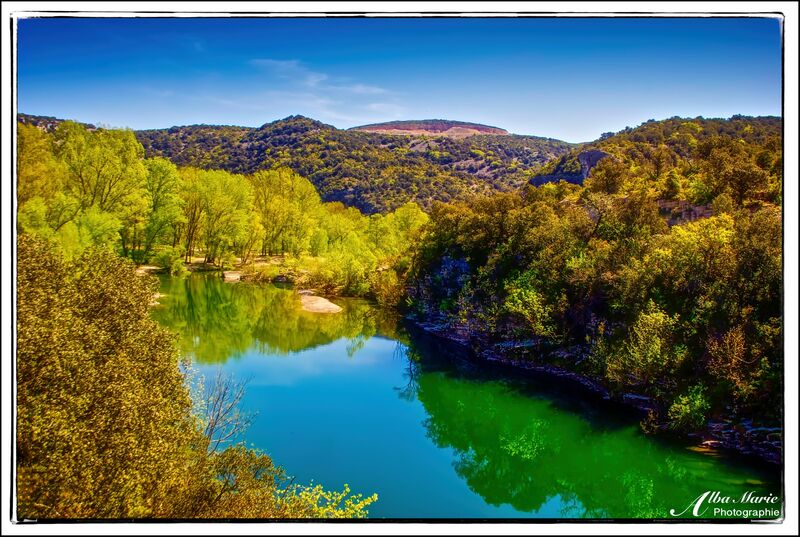 This entry was posted in France and tagged Ardeche, biking, Cevennes, cycling, France, Gard, Herault, hiking, lakes, landscape, Les Cevennes, Mediterranean, mountains, nature, southern Europe, Southern France, sunny, the great outdoors. Bookmark the permalink.